One of the hardest parts in Removalists Sydney is packing and what makes packing even more difficult is when we are going to pack fragile items or the breakable stuff. Packing these items require extreme caution as carelessness may result to breaking and damage of your fragile items. You don’t want to have a box full of broken glass and plates right? So packing these breakables should take more of your attention if you’re planning to pack on your own. Without sufficient knowledge and experience, it would indeed be a difficult task to pack the fragile items. Packing these things also require efficiency for them to be secured properly. Pro Removalists Sydney is a professional moving company that provides help and assistance for new and experienced movers in Sydney. 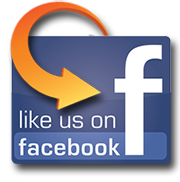 We are a leading moving organization known for our good credibility and trusted name. This time we are going to give you helpful tips and ways of packing breakable items. A good workspace area is necessary when you pack the breakables. It’ll give you space to put the fragile items without worrying if it would fall from heights or be stepped on that would cause it to break. The safety of your breakables starts with you, take proper precaution and extra care. Remember to always pack the heavier fragile items at the bottom, but before that you must put a lot of pads at the bottom to make sure that the breakable item is protected. Pads will also keep the items from shifting. Put Lots of Padding. Lots of it. Sounds exaggerated? It’s not. When packing a fragile item, you really need to put a lot of padding in it to ensure its safety. You should think about it, better safe than sorry. And hey, newspapers are cheap. You can even collect them over a long period of time. These pads will absorb much impact to prevent the breakables to break during the move, especially if you’re travelling to a rough road. Common packing mistake of new movers is that they put everything in one box. But just because you can fill a box, doesn’t mean that you have to. Filling the boxes, especially with fragile items, will only make it overweight and difficult to carry. If the package is filled, it can cause the breakables to crush or if it is too heavy, the worse is you may drop the box, crushing all breakables. So instead of filling those with fragile stuff put instead pads, pillows, newspapers, bubble wraps or anything else that would help prevent the breakables from breaking. Now that you know how to pack the breakable items, it will be easier and safer for you to carry the packages that have fragile items in it. 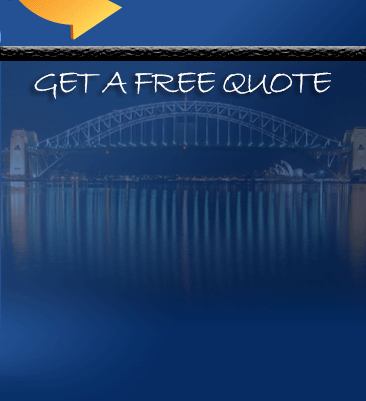 If you require professional assistance for your Removalists Sydney then what you need is Pro Removalists Sydney. There are different types of packing boxes that we can use when we move. The boxes are used to store and protect our things. Of course, we would need quality boxes to make sure that our valuables are fully protected. There are different types of boxes that we can use when moving and each type is specifically made for a specific purpose. Pro Removalists Sydney , a leading moving company is going to give you the different types of boxes that are used for moving. When moving, it might take you a long time to look for the right boxes that you need. It is important to choose the right kind of box to save time and money in packing. You may shop in different stores for cheap boxes, but if you want quality boxes, then you can buy at Pro Removalists Sydney . As the leading moving service provider, we also have quality moving equipment such as packing wraps, furniture covers and moving boxes. For now, we are going to give you the different types of boxes that are used for moving. The small boxes are used to carry small items that are heavy. This type of box is also called the book box since the most common things put in it are books. It measures 1.5 cubic meters. If you have any other small yet heavy items, then this box would be the perfect storage. The purpose of putting heavy yet small items on smaller boxes is to avoid harm and injuries when carrying the boxes. It would be very difficult to carry a large box that is filled with heavy items. Medium boxes are twice the size if the smaller boxes. This is the most commonly used type of box since it’s size is perfect for most common household items such as pans, appliances and more. You can also find these boxes in most stores, like groceries, liquor stores and other shops. Putting a slightly lighter and bigger items on the medium boxes will allow a safe move for your items and for you. The much larger boxes are used to store the light but huge things. The most common things put in these boxes are pillows and blankets. Putting lighter items on larger boxes will make it easier to carry despite the size. This will also help avoid injuries. 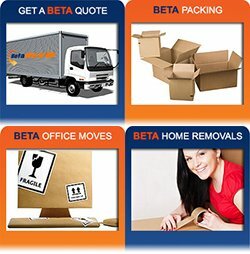 If you are looking for assistance during your move, then you should hire Pro Remvalists Sydney . We are the best choice! Call us now at 0432330860! You can also read our other articles about The Moving Boxes, Benefits of Office Moving and Reasons to Hire Professionals.